To celebrate, comfort, console, or cheer… Broadway Floral & Gift Gallery will help you find the perfect arrangement for every occasion! We’re a local Denville, NJ florist delivering courteous and professional service along with the highest quality floral and gift items around. We're a family-run business that has been serving the Denville and the entire Morris County community since 1979. Our courteous staff is ready to assist you with placing orders for local delivery or anywhere in the world. 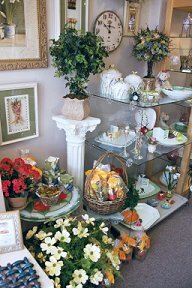 Broadway Floral & Gift Gallery is open to serve your floral and gift giving needs anytime. 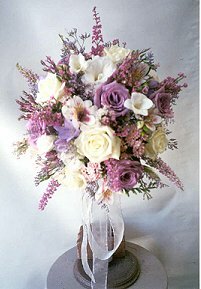 Let Broadway Floral & Gift Gallery make all your special days, EXTRA special! Wedding & Special Event Flowers ~ Whether you prefer a look that is timeless and traditional or sleek and contemporary, your wedding or party is sure to be a “blooming” success with flowers from Broadway Floral. Call (973) 625-2772 to schedule a consultation and let our expert floral designers help you plan an unforgettable event! Our specialty services include: designing flowers for the cake, on-site party decorating, corporate event planning, etc. Great Gift Ideas for Any Occasion ~ Liven up any room or office with lush green and blooming plants or dish gardens. Choose from our selection of unique gift items and decorative accessories, including gourmet & fruit baskets, gift baskets, art glass, pottery, handbags, framed prints, handcrafted jewelry, picture frames, silk & dried floral arrangements, baby gifts, plush stuffed animals, balloons, scented candles, home décor and much more! Call or visit us today… we look forward to meeting you! Thank you for visiting our website with convenient online ordering 24 hours a day! For flowers delivered fresh from your local Denville, NJ florist – Broadway Floral & Gift Gallery! !